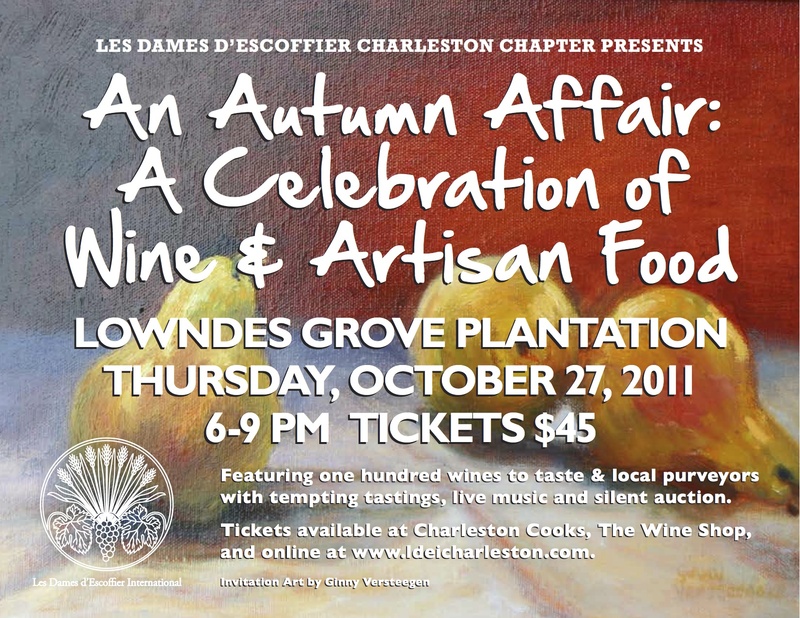 A TASTE OF CAROLINA | A culinary journal with essays and delicious recipes seasoned with a dash of history and culture. Even in George Washington’s time, Southerners enjoyed the tradition of the barbecue as a form of social gathering. Historians believe 16th century Native Americans may have initially introduced barbecuing to British colonists. Barbecuing is practically a year-round sport now. 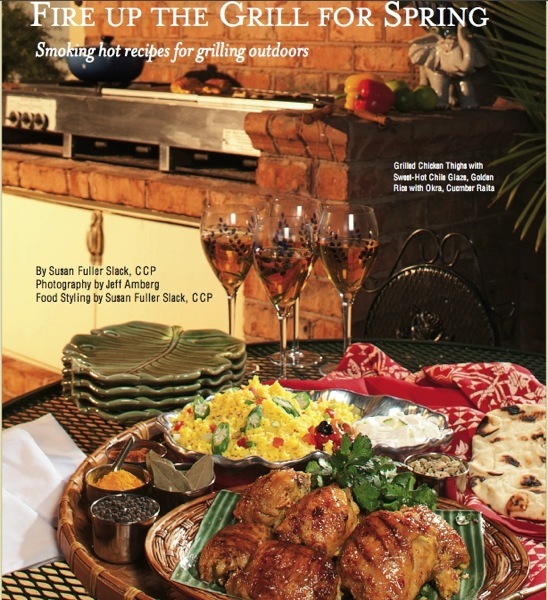 Some cooks focus on grilling; others say it’s all about the barbecue pits and smoke. Everyone has a preference for a barbecue style and plenty of strong opinions on how to go about it. Few foods inspire loyalties and rivalries like barbecue. Southern barbecue has long been a venue for South Carolina political entertaining and rallies. According to Charleston author Robert Moss, (Barbecue: the History of an American Institution), Columbia played an important role in the launch of this country’s commercial barbecue in the 1920’s. He says S. E. Perry began selling “Bucket Barbecue” during Fourth of July and Labor Day Parades at 60 cents a pound and 30 cents for hash. Prior to that, Columbians would bring a bucket from home and fill it with meat at the barbecue stands. Lamb and mutton were almost as popular as pork. Chicken has become a top-choice of protein for the grill! If you enjoy spicy, lively flavor combinations, look to the East for inspiration. The chicken dish in this post is based on a balanced blend of addictive Asian seasonings that are easily found in your supermarket. Versatile chicken thigh meat stays moist on the grill, is economical and a good source of zinc, selenium and B vitamins. The thighs are marinated in yogurt and South Asian spices, then grilled and brushed with an addictive glaze of flavorful sweet-heat. The chili garlic condiment is sold in 8-ounce plastic bottles decorated with a rooster and green lid. 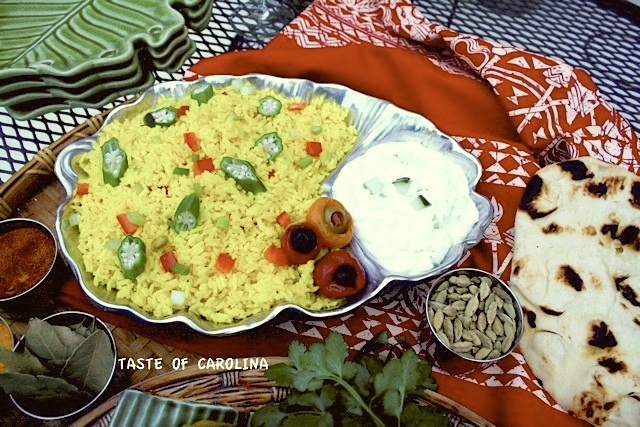 The chicken in the photo is paired with Golden Rice, Cucumber Raita and grilled naan (leavened flatbread). Available at local markets, naan can be warmed over a hot grill and brushed with melted butter or olive oil. Green cardamom pods add a warm spicy-sweet flavor and aroma to the rice dish. Purchase them at gourmet shops or Indian markets. Skewered, grilled whole okra is called for in this recipe, but it can also be cooked in a foil package over the fire for 15 minutes. Sometime, I like to scatter crispy fried okra pieces over the top of the rice for a special flavor and texture contrast. Combine yogurt, zest, 3 tablespoons lime juice, garlic, gingerroot, cumin, turmeric, ground chilies and salt in a large plastic food storage bag. Add chicken thighs; coat well with the mixture. Seal bag and refrigerate 6 hours or overnight. In a small bowl, combine chili garlic sauce, honey and remaining tablespoon lime juice. Divide between 2 small bowls; set aside. Set up your outdoor grill. Wipe excess marinade from chicken; coat lightly with cooking spray. Place chicken, skin side down, over direct heat. Cook about 10 minutes then turn chicken. Brush with the chili glaze in one of the bowls. Cook 10 to 15 minutes more or until skin is crispy and slightly caramelized, the meat is no longer pink and the juices run clear. Remove to a platter; garnish with cilantro. Makes 4 to 5 servings. Note: Chicken quarters (thighs and drumsticks) are also tasty prepared this way. Heat oil and butter in a medium saucepan over medium-high heat. Add onion, bell pepper and garlic; cook until nearly tender. Stir in turmeric, cardamom, salt and pepper. Add rice, stir mixture 30 seconds. Pour in broth and bring to a boil. Cover pot and reduce heat to low. Cook 15 minutes. If tender yet still moist, remove cover and cook a couple of minutes until mixture is dry. Grill the okra, as directed. Cut in thin diagonal slices and toss with the rice. (You can make the rice one day ahead then grill the okra along with the chicken thighs the following day.) Makes 4 servings. In a large bowl, combine all the ingredients. Refrigerate until serving time. Serve as a side dish or as a dip. Makes about 3 cups. 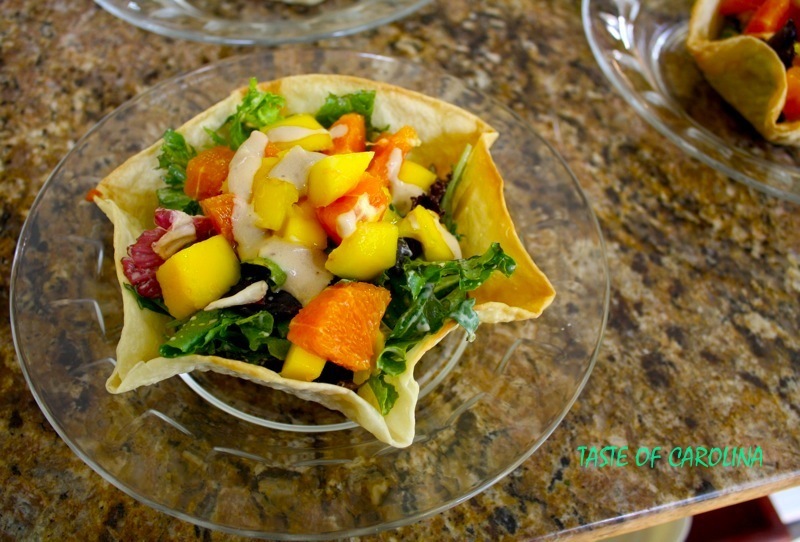 As colorful as a handmade Oaxacan basket, this salad-filled tortilla shell is dressed with a citrusy and creamt orange dressing that will please family and friends alike. Happy Cinco de Mayo! You’ll know why Irish eyes are smiling when you taste this delicious, savory green pea soup and the tangy lime dessert squares. 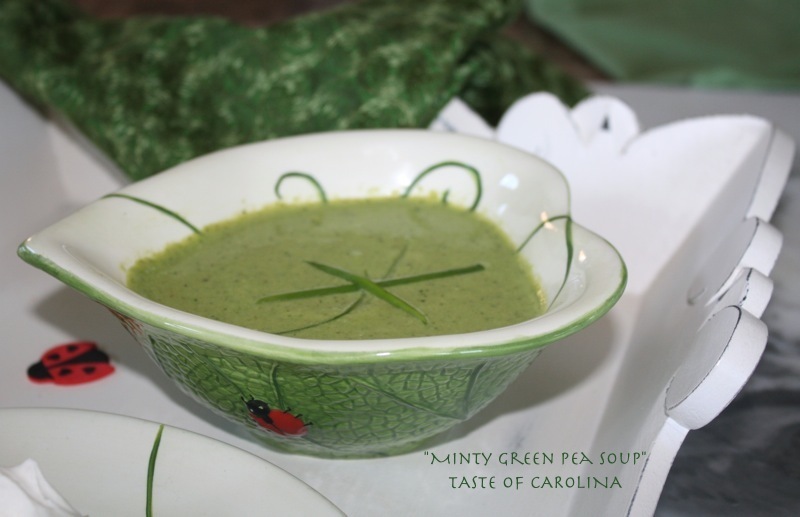 The minty soup can be made ahead and served hot or chilled. The tangy lime filling in the dessert squares can also be poured into a 1 (9-inch) round crumb crust and baked, then chilled and sliced into wedges. HAPPY ST. PATRICK’S DAY! For more than 140 years, Fleischmann’s Yeast has focused on teaching people how to raise bread. 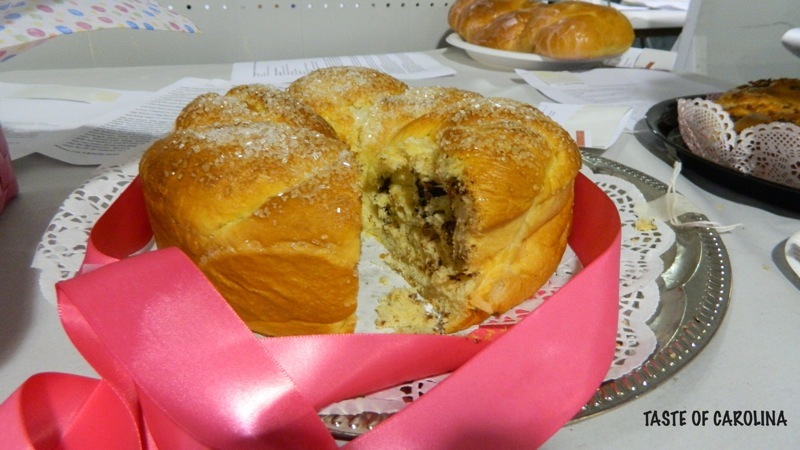 Now the company hopes to raise breast cancer awareness through their “Bake for the Cure” special contest which was judged on October 10, at the 2011 South Carolina State Fair. Creative bakers entered a variety of breads featuring Fleischmann’s yeast. Baked goods in the main category, Best Yeast Breads, could be made in any flavor or shape. 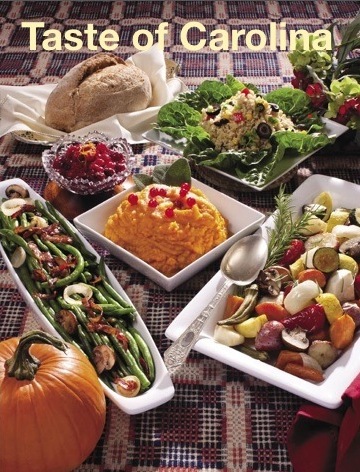 A second category, Best Whole Grain Breads, included whole grain recipes that had to contain at least 50 percent whole grains (like whole wheat ﬂour or rye ﬂour) and/or other whole grain ingredients (like oatmeal, ﬂax seed, bran cereals and bulgur). All-purpose or bread ﬂour had to be limited to 50 percent or less in the recipe. All recipes were required to be original. 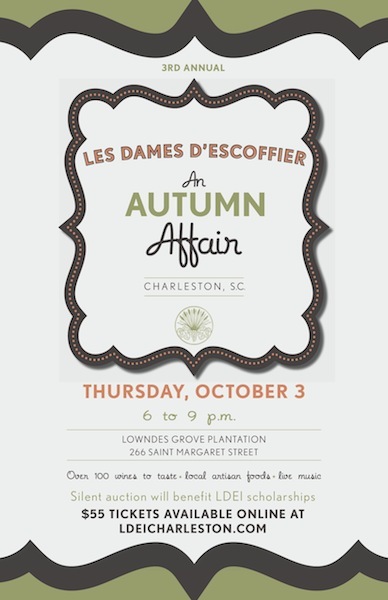 Charleston, S.C. – On Thursday, October 27, 6:00-9:00 p.m., the Charleston chapter of Les Dames d’Escoffier International (LDEI), a worldwide philanthropic society of professional women leaders in the fields of food, fine beverage, and hospitality will host their annual fundraiser, An Autumn Affair: A Celebration of Wine and Artisan Food.